Discussion in 'Type 2 History' started by top banana racing, Aug 11, 2014. 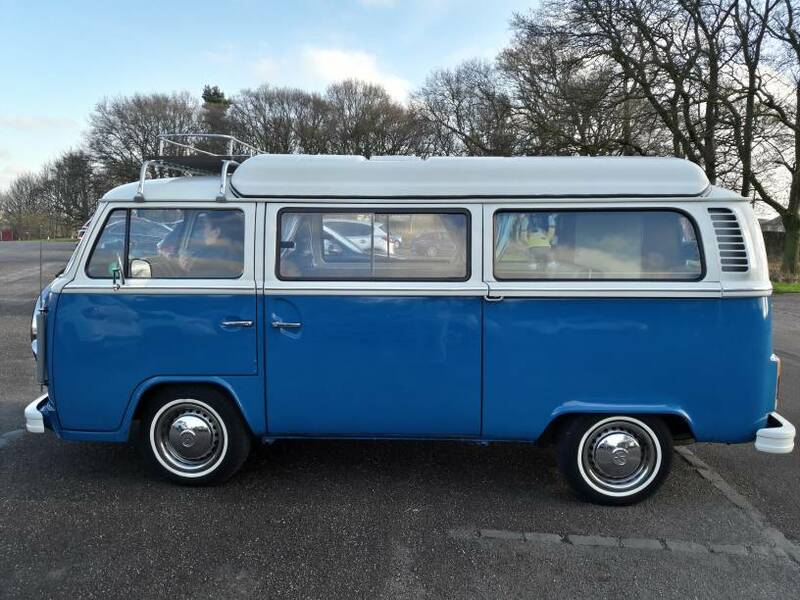 Dormobile, original as fitted to a 1978 panel van (originally Neptune Blue all over). Roof hole is far forward, to accomodate the folding cooker tucked behind the front passenger seat: to cook you folded the passenger seat forward, and then the cooker folded up from behind it. Apparently the way Dormobile removed the roof cross-beam at the B pillars meant that VW did not approve. So Dormobile had to buy panel vans rather than buses to convert. Quite nice in that the "standing upright" bit extends futher forward into the cab, and is central over the sliding door and rear floor area. The cab also benefits a little from the roof lights. I love my dormy roof but it does look a bad move cutting the b pillar roof crossmember, mine is also a panel van convert. Looks very similar to a Westy but definitely not . You`ll notice the ribbing running length ways and a moulded platform in the centre for fitting a skylight .. 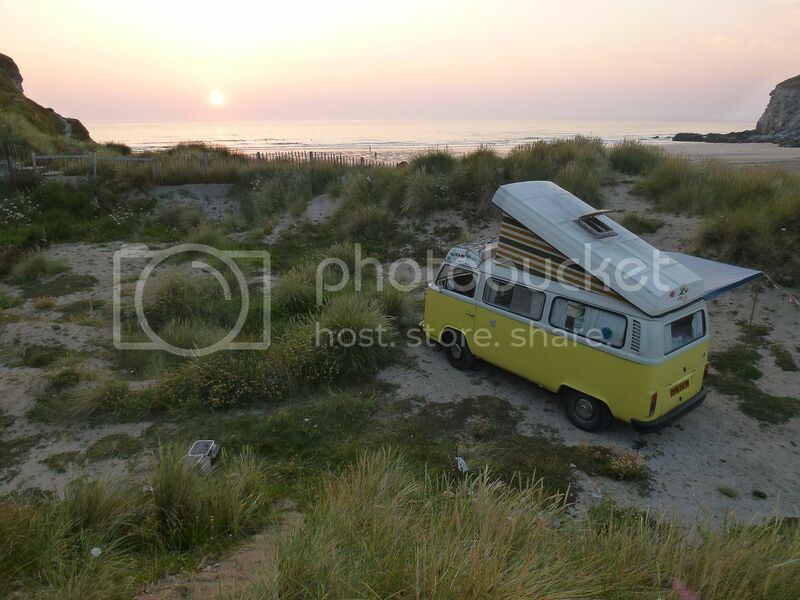 I have one of these conversions , @paradox has one and i`ve only seen a couple more . The common theme seems to be a LHD commercial vehicle imported from Europe in the `80s (mine is a Dutch ex post office van ) , and all use the same roof and bellows . Anyone shed any light on these conversions ?? Ian Jones and paradox like this. Can anyone identify this one then? paulcalf and Lasty like this. How many fibres are intertwined to make a shredded wheat biscuit? paul2590, Dicky and 89Rallye like this. Its all fiberglass and the panel above the sliding door just slides to the back. But there's no fixings to lock it at the moment it has a zip tie keeping it shut. 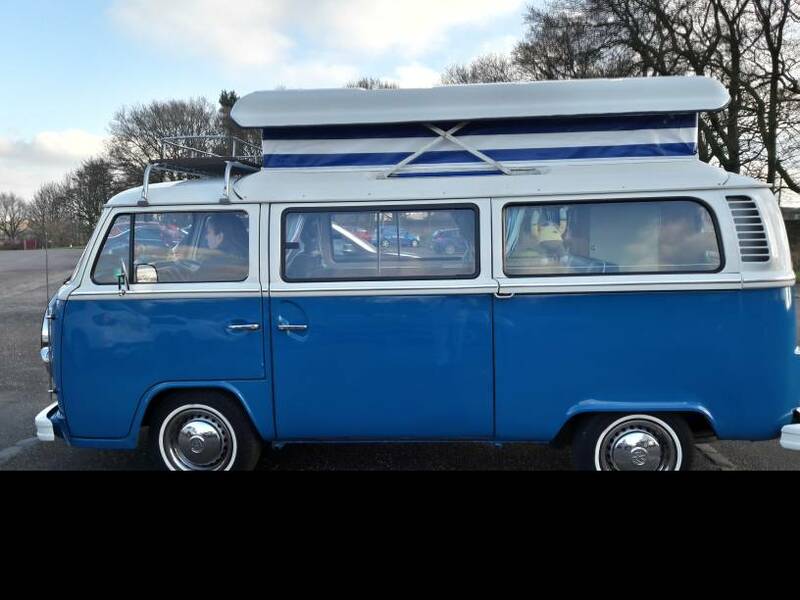 Not sure what mine is, came strapped to the top of my bus when it was imported from Australia .... but it hasn't got the shaped bit ( in or out ) in the middle like the Supro or Campamobile already shown. Not sure of name but a chap called himself migmax made em amongst other things a few years ago. Chap called Migmax used to make them. Sliding fibreglass roof to replace pop top. paradox and iblaze like this. So not much chance of acquiring parts for them then. Doibt it. Packed in a few years ago as far as im aware! Remembereed the name - riviera roof company.